Hello Stampers! Happy Sunday to you! 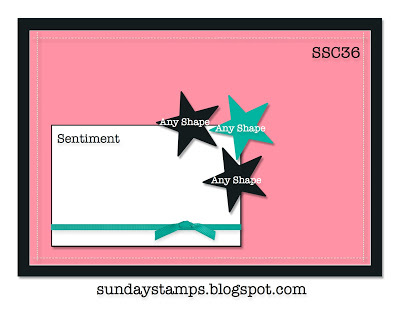 We have another great challenge for you at Sunday Stamps this week! Hayley is our host and she has a fun sketch for us! So what are you waiting for, come play with us! I really like the Sycamore Street DSP from Sale-a-Bration (SAB) this year. Such wonderful colors. This is a z-fold card and the base of the card is island indigo, layered with whisper white. I used several items from the SAB catalog. 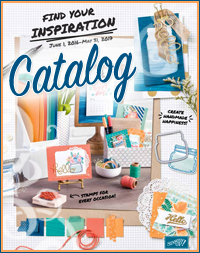 The ribbon and button pack includes three spools of island indigo, pool party and tangerine tango and it has a beautiful satin feel to it. The colors of the buttons are pool party, tangerine tango and rich razzelberry. The summer starfruit butterflies are from the Bloomin' Marvelous stamp set. 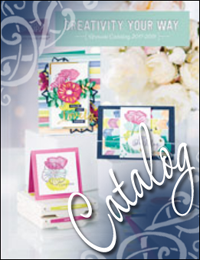 From the Spring Catalog I used our new Ovals Collection framelits. I love that there is a new paper-piercing pack, the Occasions set. You've probably noticed I like to do a lot of paper-piercing on my projects. The bitty butterfly punch coordinates with the butterfly from the SAB Bloomin' Marvelous stamp set. Gotta love product coordination. From our Annual Catalog I used the sentiment from Teeny Tiny Wishes set, a must have for various sentiments. The little girl is from the Lean on Me stamp set, which I received at the SU! Convention is 2011 while attending Hispanic Night. While my set is in Spanish and I ink the part of the stamp set I want to use. I paper-pieced her dress with a small strip of the SAB Sycamore Street dsp. I also used the Modern Label and Word Window punches and pearl basic jewels, on the butterflies. In case you didn't know, using the Blush Blossom Stampin' Write Marker is perfect for coloring in flesh tones on stamped images. Well friends, that's all I have for now. Thanks again for stopping by. 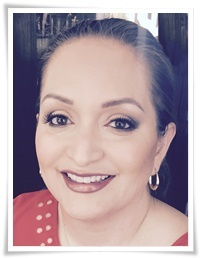 Hope you have a wonderful Sunday! Until next time!